Gentry Forrester feels lucky to live among God's chosen people in the Prophet's compound, but when music is outlawed, Gentry and her older brother, Tanner, sneak out of the community. When they return, all bets are off as the Prophet exercises his control. Born into a polygamous community in the foothills of New Mexico, Gentry Forrester feels lucky to live among God's chosen, apart from the outside world and its "evils." Determined to play, Gentry and Tanner sneak out. But once they return, the Prophet exercises control from prison, and it has devastating consequences for Gentry and her family. Soon, everything Gentry has known is turned upside down. She begins to question the Prophet's teachings and his revelations, especially when his latest orders put Gentry's family in danger. Can Gentry find a way to protect herself and her family from the Prophet and escape the only life she's ever known? This realistic, powerful story of family, bravery, and following your dreams is a can't-miss debut novel from Melanie Sumrow. Melanie Sumrow is a middle grade and young adult author. 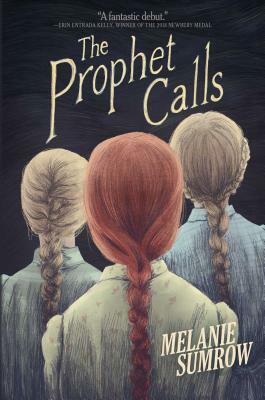 The Prophet Calls is her debut novel. Find out more about her at melaniesumrow.com. Readers will love Gentry Forrester-a brave girl who questions the world around her and finds her own answers. A fantastic debut by Melanie Sumrow.